If you have skype installed you can select the link below to call Nicola Ball. I like to call this YOUR CALL TO ACTION. If you are feeling stuck and low, and YOUR QUALITY of LIFE is dire. It’s pretty horrible isn’t it? If you are feeling like life is a bit of a struggle, and your joy is so far off in the horizon, it can all feel a bit hopeless can’t it? TODAY I WANT YOU TO BRING YOUR FOCUS TO YOU, AND RECOGNISE THIS IS YOUR TIME FOR CHANGE. Listen to YOUR CALL TO ACTION, and make a change. Give yourself this gift, invest in yourself today. Give yourself the time and commitment to overcome your hurdles, and have the life you want, one were you feel genuine joy and happiness! We are all humans, on this beautiful rollercoaster journey called LIFE. It can be tough, but that’s the deal we make with life. We take the good with the bad and we keep on pushing through… until, we get STUCK. That’s when we need some help, and that’s were we come in! Firstly let me tell you this. EVERYONE at some point in their life needs some help. Every single man, woman and child. There is NO SHAME IN IT. Let me repeat that. THERE IS NO SHAME IN IT. You are simply looking to understand yourself better and you want to find a solution to your problem. GOOD FOR YOU! I offer you an opportunity to explore what’s going on for you, what’s keeping you stuck, and what you want life to be like. This ain’t no happy clappy bulls**t here. We’re not going to tell you to just think positively and everything will be dandy again. No, we’re gonna look at the garden and take the weeds out from the roots, so that it can flourish once again. I am a fully qualified cognitive behavioural therapist, and integrate the core principles of Cognitive Behavioural Therapy, Positive Psychology, and an absolute abundance of therapies to give you the tailored experience you need to smash out of this block and get UNSTUCK! I have overcame challenging life circumstances; from death, cancer, marital breakdowns and then some. I've sat in the the seat you WILL SIT IN. I know how scary this is. But what’s the alternative, just stay and live in your own tormented mind? Trust me, when I say, that you are going to come out the other side of this, and you are going to ROCK life like never before. What have you got to lose? 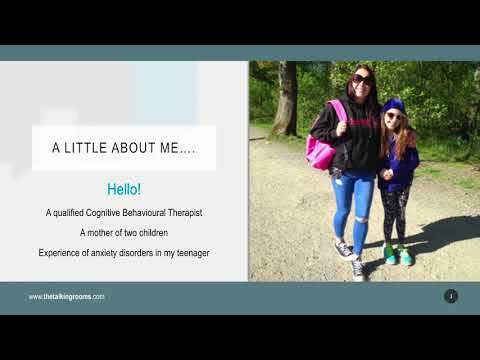 I have a special interest in working with young people and organically my private practice has grown to supply counselling services to high schools, and I am also attended by parents and children looking for support on improving relationships, and mental health across the family. The initial assessment appointment is 90 minutes, and is charged at £60. Following sessions costs between £40-£60 and last 50 minutes. Mon-Friday 9-5pm appointments are charged at £40. Appointments after 6pm are charged at £50 and weekend appointments are charged at £60. All skype sessions are charged at £40 per session. All one to one walk and talk sessions are charged at £40. All payments are made in advance of the session and there is a cancellation charge of 100% if cancelled less than 24 hours before the appointment. Once you’ve submitted your details, a therapist will be in touch to confirm a date, time and location of your session – along with prepayment details. On arrival to your appointment. Please park in the left hand car park and enter through the doors on that side. If you then use the stairs to the first floor, where a red sofa is located. If you wait there until your appointment time.